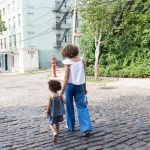 Many of us “won the zip code lottery” by being born in a prosperous country: With the advantages of a modern infrastructure, political stability and consistent economic growth, we’ve had the chance to work our way into the lives we desired. For me, that meant babysitting at age 11, scooping ice cream and waiting tables in my teens, and working three jobs on the side during college, all of which led to graduate school and a career of my choice. So it’s easy for us to take for granted something that’s out of reach for many people around the world: a stable and satisfying job. My family has collaborated for 15 years through Skees Family Foundation (SFF) to end global poverty through support—grants, social impact investments, network and advisory services and storytelling advocacy—of innovative programs that promote equality and prosperity. We’ve learned through both research and experience that our clients (we avoid the condescending term “beneficiaries”) want what we want—not a handout, but a job. A dignified, secure job provides a paycheck, which boosts self-confidence and establishes financial freedom of choice, enabling investments into housing, food, education, healthcare, disaster funds and perhaps even savings. This basic tool enables the machine of my middle-class American society to function – why should it not work everywhere? Even in areas plagued by unemployment and remote rural access, our partners provide training and inputs that transform whole communities through a virtuous ecosystem of labor, earning, spending and wellbeing. We’ve learned a lot from these organizations about the effectiveness of focusing on jobs – and about how to maximize the impact of this focus. Here are a few takeaways. While visiting several of our nonprofit partners in Haiti, we heard a story from the 2010 earthquake in which several competing NGOs aimed to clear roads which had become flooded trenches after the disaster. So they hired locals and paid them a few gourdes to shovel dirt up and out of the road; the next day, the dirt fell back in, and they would repeat the process. This task – though necessary in the aftermath of the disaster – is not an example of dignified work that sustains employees and improves society in a lasting way. In contrast, we met a group of local beekeepers (mostly women) high in the mountains of Haiti’s Ouest Department, who’d been employed by Prosperity Catalyst to collect honey and wax for making organic honey and beeswax candles to sell in Haiti and on the export market. Because the market need kept growing, the beekeepers had bred more bees and cultivated a garden of specialized crops to feed the bees and flavor their honey. They had seen a vast increase in earnings compared to their past business, which focused on limited local markets. While the World Bank laments the fact that creating one job can cost more than US $20,000, our partners beg to differ: They’ve been able to create jobs for far less. We’ve seen a range of ingenious programs tailored to local skills and needs that build hundreds or thousands of jobs. And most importantly to us, these jobs are both led by and benefiting local community members. For example, Agora Partnerships trains entrepreneurs and small-business owners in Latin America—representing 215 companies from 21 countries so far—resulting in a 91% increase in their revenue, and empowering them to employ 5,000 additional people. Agora works within a budget of $3 million to generate $264 million in revenue and $86 million in follow-on funding for their alumni businesses. The PBMR (“The Center”) restorative justice program has trained hundreds of youth emerging from gangs and jail for job-readiness on Chicago’s South Side. Because few jobs exist behind boarded-up buildings in this bankrupt micro-economy, PBMR uses a portion of their $700,000 budget to pay fair wages for youth to work in The Center’s garden, clean the buildings, serve as peer counselors for new members, run a T-shirt printing business and build and restore furniture, both for The Center and for sale in the local community. The BOMA Project uses peer groups of three and hires local trainers to advise business ventures; they spend $300 in cash transfers per participant in a poverty-graduation program that has reached 137,000 people in the drylands of rural Kenya—the “last mile” of economic and social isolation. BOMA has measured a 147% increase in income and a 99% business survival rate after their two-year program. In India, Upaya Social Ventures aims to serve the poorest of the poor, in a country where 21% of the population struggles to live on less than $1.90/day. Upaya vets social mission businesses that target the ultra-poor (more on one of them below) and provides technical and financial support to increase employment, production and marketing. So far they’ve enabled 14 small businesses to create over 12,000 jobs at an average cost of $250 each. We’ve found that smaller, scrappier enterprises (often led by younger entrepreneurs) tend to do more with a smaller budget than larger NGOs or businesses. They often listen more deeply to local needs and solutions, and innovate both products and processes that build jobs in places with a dearth of employment. These enterprises also often train clients in job skills, pay fair wages over the long term, and provide wraparound services for healthcare, children’s education and disaster relief—not to mention the intangible benefits of increased self-esteem and spending power, community respect and belonging. But we at SFF don’t have the resources to support the efforts of the hundreds of nascent social mission businesses that share this focus. So we’ve begun to shift toward impact investments into these same businesses as they scale. This allows us to deploy far more support than we can via grants, while also supporting growing social enterprises with patient capital rather than charity. 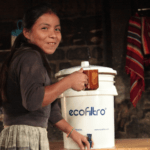 Our investment portfolio includes equity and debt that supports affordable college loans, clean water franchises, youth-run social businesses, women’s coffee co-operatives, and clean cook stoves and recycled diapers. As our partners grow they, just like their employees, prefer earning their own way rather than attempting to subsist on a series of unpredictable grants — which too often have strings attached. We go in early, first round if possible, to maximize the leverage of our $10,000 or $50,000 investments and, we hope, bring in other funders with deeper pockets. And then we cheer as these companies grow — like our investment partner Jibu, which began as a family shop in Rwanda and has expanded to 1,080 locally owned franchises in six countries. We believe it’s valuable to share the stories of people who’ve successfully leveraged the power of job creation – that’s the goal of our social mission book series, “MY JOB: Real People at Work Around the World.” Collected in the field from Hong Kong to Tegucigalpa, Cincinnati to Cambodia, West Virginia to West Africa, the 30 chapters across two books (so far!) convey true tales of life and work, spoken in the first-person, by people in a range of industries. While some chapters feature professionals from such established businesses as Google, Xerox and Target, others reveal the inside story of the true financial and personal cost of building a business out of no resources at all. The “MY JOB” book series follows in the footsteps of Studs Terkel’s bestselling tome “Working” – though our series expands beyond the U.S., and our stories go into far greater depth about the meaning and impact of work. Each story reads like a mini-memoir and takes the reader to hear guitar music in Hawaii, sell bananas in a market in Uganda, train a girl to ride a horse in Kentucky or negotiate with a terrorist in North Korea. All author proceeds from the sales of the series revert to our cause, as donations to job creation programs that continue to end poverty, one employee, one family, one community at a time. Suzanne Skees serves as founder and board chair of Skees Family Foundation.